If you are looking to have the vacation of a lifetime, whether you want to spend it skiing, mountain biking, or playing a round of golf, Mountainside Lodge at Whistler British Columbia is the destination for you. The Mountainside Lodge is located in the perfect place, so you can walk out your door and head right to the mountain for some skiing or snowboarding. You can also head a few miles west to Alta Lake, where you can go fishing, boating, or just to enjoy the beautiful scenery while the sun sets behind the mountain. At the Mountainside Lodge, you have your choice between studio suites, loft suites, one bedroom suites, and deluxe one bedroom suites. The studio suites offer a Queen Murphy bed and a day bed. 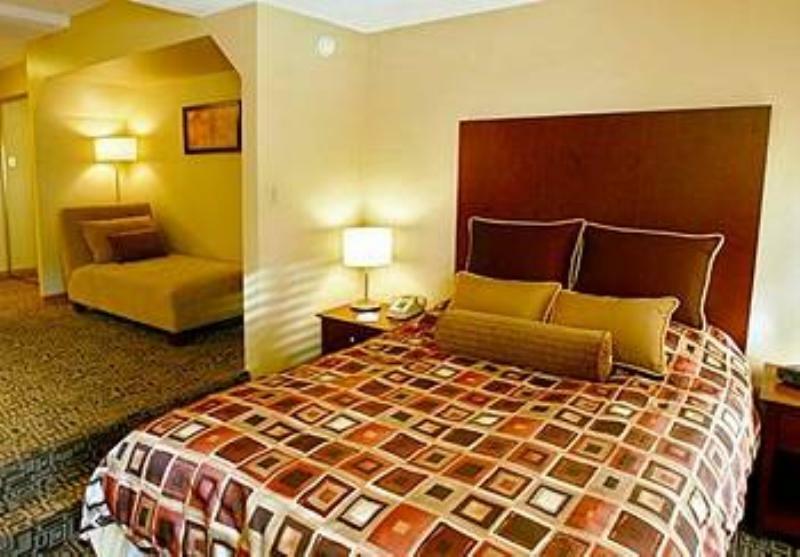 The studio suites can accommodate up to 2-3 adults or 2 adults and 2 small children. Studio suites come equipped with air conditioning and heating, a gas log fireplace, a fully equipped kitchen with dishwasher, microwave, full size refrigerator and stove, a jetted tub, DVD player, CD player, a stereo with MP3 player, Internet access, bathrobes, a hair dryer, an iron and an ironing board. The loft suites can accommodate up to four people and include a Queen bed, a day bed, sofa bed, loft area, air conditioning/heating, a gas log fireplace, a fully equipped kitchen with dishwasher, microwave, full size refrigerator and stove, two full bathrooms, a jetted tub, DVD player, CD player, a stereo with MP3 player equipped, Internet access, bathrobes, a hair dryer, an iron and an ironing board. The one bedroom suite comfortably sleeps up to four people and comes with a Queen bed, a Queen sofa bed, air conditioning/heating, a gas log fireplace, a fully equipped kitchen with dishwasher, microwave, full size refrigerator and stove, a jetted tub, DVD player, CD player, a stereo with MP3 player, Internet access, bathrobes, a hairdryer, an iron and ironing board. The Deluxe one bedroom suite is equipped with two large connected rooms with a gas fireplace, a television, and a bath with a soaker tub or a steam shower for two. The Deluxe one bedroom suite comes equipped with all the amenities of the other suites. There are way too many activities to list, but here are some of the things you may want to try when you visit Whistler. If you are a skier or snowboarder you can try skiing or snowboarding down the Whistler and Blackcomb mountain trails. If you are a thrill seeker, you may want to visit the most exciting year-round bungee jumping spot, Whistler Bungee (a 160 foot bungee). If you would like to try something different, you may want to go try Dog Sledding throughout the forests of Whistler. You may also want to go for an adrenaline rushing adventure by trying the ziplines of the ZipTrek EcoTours. If you are a golf lover, you will want to visit one of the golf courses that have been designed by Arnold Palmer, Jack Nicklaus, and Robert Trent Jones Jr.
Other activities that are available include, cross country skiing, Geocaching, Heli skiing/snowboarding, Sleigh riding, Snowcat skiing, snowmobiling, kayaking, horseback riding, miniature golf, paragliding, and many more. When you find yourself hungry and not sure where to go, there are a number of restaurants that you can try, that will please your senses and satisfy your desires. Trattoria di Umberto which is located right on-site at Mountainside Lodge, serves up traditional Tuscan dishes. You can also visit 21 Steps, a casual dining atmosphere with Chef Owen Jones and his team whipping up culinary creations during the day, and with Chef Stacey Betteridge and her team cooking up a storm every night. With dinner entrees like roasted half chicken, braised lamb shanks, baby back ribs, or a 10 oz. center cut sterling silver top sirloin, you will leave stuffed and satisfied. Whatever you decide to do when you visit Whistler, British Columbia, you will be satisfied during your whole trip, from the moment you step inside your Mountainside Lodge timeshare or fractional ownership, to the moment you leave. Premier Timeshare Resale will bring you the best prices for Mountainside Lodge timeshare resales and will help you every step of the way. If you have any questions about buying or selling Mountainside Lodge Timeshares, please feel free to contact us at your convenience.